﻿ Pan Pacific Singapore (Marina Bay) | FROM $177 - SAVE ON AGODA! "Excellent location, very good facilities." 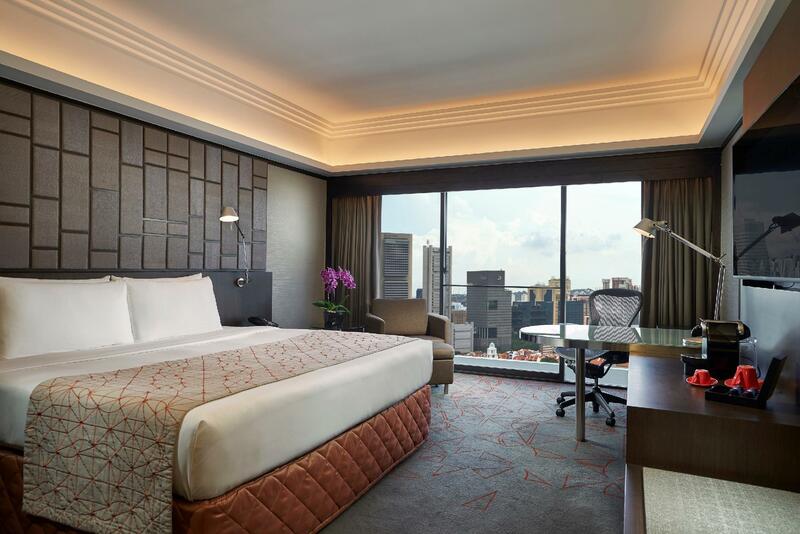 Have a question for Pan Pacific Singapore? 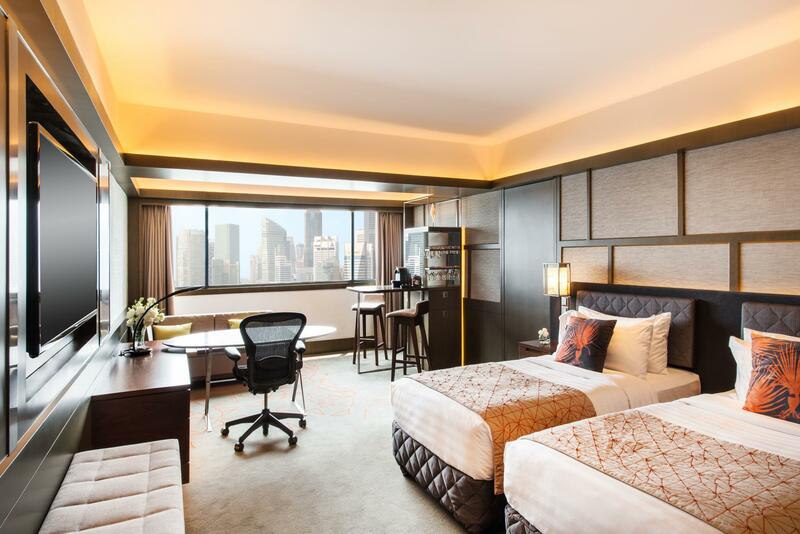 "Great Hotel Great location good view of marina bay." "Pool area was lovely and so close to everything!" "Nice location and great place to stay Love it"
"The staff was friendly during my checking in and checking ou..."
Revel in one of the top 10 luxury hotels in Singapore – Pan Pacific Singapore, situated in Marina Bay, next to SUNTEC International Convention and Exhibition Centre and two major shopping malls. The train stations of Promenade and City Hall are less than a 5-minute walk away, providing easy access to popular attractions including Marina Bay Sands and The Merlion. 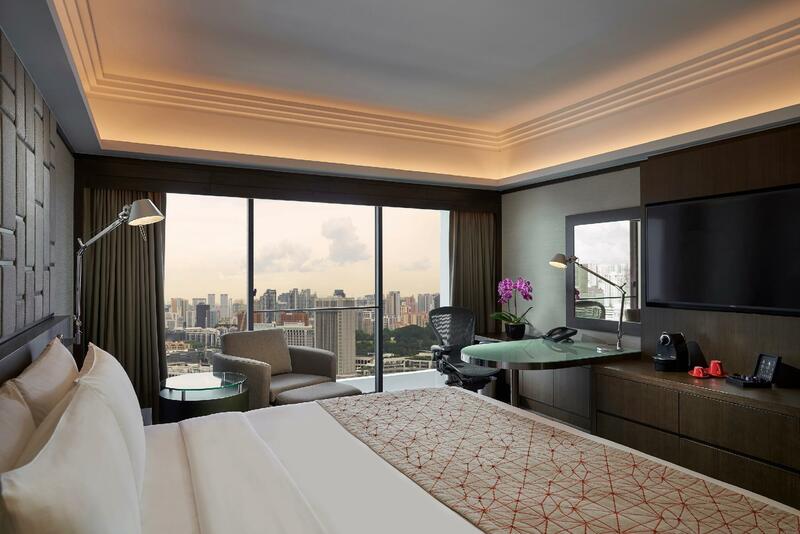 Historical landmarks, including the Padang, the Cenotaph, and the commemorative landing site of Sir Stamford Raffles, are situated in the vicinity of the hotel. 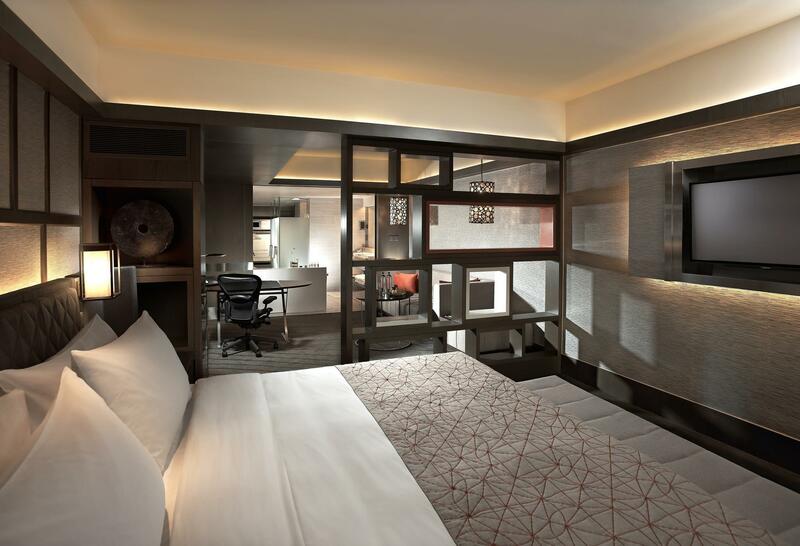 The 790 contemporary guestrooms and suites include complimentary Wi-Fi and parking for in-house guests. Discerning travelers can opt to enhance their stay with Pacific Club Lounge access located on level 38 with panoramic views of Marina Bay and complimentary benefits including a champagne breakfast, afternoon tea, sunset cocktails and canapes, prior check-in, late check-out, and more. Savor the tranquility of a day well-spent at the award-winning spa, unwind as skilled masseurs offer traditional Chinese therapy treatments, or pamper yourself with signature St. Gregory treatments that include facials, massages, and more. Other leisure facilities include an outdoor swimming pool and a 24-hour fitness center. During your stay, embark on a diverse culinary journey and enjoy a myriad of culinary options, including Edge with seven live theater kitchens, Hai Tien Lo for exquisite Cantonese cuisine, or Keyaki for an authentic Japanese experience. To unwind, head to the longest bar in town – Atrium - at the lobby for delicious tapas, fine wines, craft beer, and specialty cocktails. 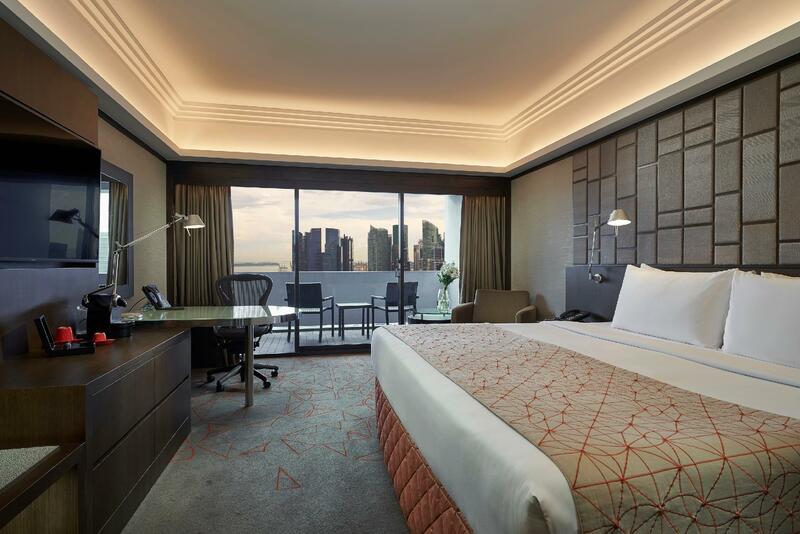 "Fantastic hotel with super views of Marina Bay." Guest must be at least 12 years old to access Pacific Club. View from the guest rooms may vary from the images displayed. Great Hotel Great location good view of marina bay. Hotel and shopping center share same carpark so weekend carpark full so u have u wait as a hotel guest by right nit suppose to wait for parking. Bed i and my son feel very itchy at night feel like something insect bite us but i couldn’t find it. My son cannot really sleep because of the itchy. I can’t believe that a 5star hotel but the bed feel like an insect biting me n my son at night but Overall hotel best location n view. Thank you for sharing your feedback with us. We have shared your feedback with the housekeeping team to look into the matter and would like to assure you that our cleanliness standards are upheld in every regard. We hope to have the opportunity to welcome you back. very convenient. clean. and the room is spacious. and the location is close to the famous tourist spots. Good location with nice view. The hotel is a bit old but the facilities are quite good. it's not far from the hotel to other attractions like Garden by the bay, especially who is planning to go to Legoland in Malaysia, you can take shuttle bus next to the Ferris wheel. Thank you for sharing your review with us. We are delighted you appreciated the convenient location of the hotel and we look forward to welcoming you back in the near future. We arrived early @ 10am after disembarking from a cruise expecting to drop our luggage and check in at 2pm but the lovely lady was able to check us into upgraded rooms for a minimal charge that were stunning and straight away we were in our rooms and able to relax. Pool area was lovely and so close to everything! Will be back for sure!! Great room, great view, great location! I came into the room with no missing tv remote, and it was solved quickly! Wish there was a halal restaurant in the hotel. But not an issue at all, as the hotel is connected to Marina Square woth plenty of food! Great trip altogether! Staff are friendly and accomodating!! The room is clean and tidy no smell. The toilet is very nice design especially it’s good for handicap. The food was great 👍 and fresh . The staff was friendly during my checking in and checking out. Breakfast buffet the staff name Janice she so helpful and friendly. It’s was a great stay for me. Thank you for sharing your review with us. As we strive to create memorable hotel experiences for our guests, providing excellent service is at the core of our service commitment to our guests and your kind words will definitely motivate the team to keep up our high standards. Thank you for taking the time to write this review. We are sorry to hear that you had a less than satisfactory experience. Your feedback is essential to help us improve our guest experience and we thank you for sharing it. We hope to have the opportunity to welcome you back. It was a short but great staycay. Check-in was smooth, service staff was very attentive and thumbs up for helping me in getting late check-out. However, the bathroom in the room was not properly cleaned up as I can still see used tubes of the shower gel and shampoo still left in the bathroom bin. That is the only downside, other then that all is good. Thank you for your review, we are delighted that you had an overall positive experience. Your feedback is essential for us to improve our guest experience and we will convey that to the relevant team for improvement. We hope to welcome you back in the near future. It's by all means a beautiful and super clean hotel. However, I'm not sure if I want to pay for the partial balcony view room anymore as the view is always blocked b the Mandarin hotel and another tall building. Thank you for taking the time to share your positive experience. We certainly look forward to welcoming you back for another wonderful experience. Booked Harbour Plaza room and was not disappointed by the views over the harbour and the Gardens by the Bay. The Club facilities are well worth paying the extra for. Large and comfortable room, excellent en-suite, lovely pool and gym. Food very good. Hotel central for most attractions. Thank you for your review, we are delighted that you had an overall positive experience and we hope to welcome you back in the near future. Great hotel in a good spot. All the staff that we dealt with were incredibly accommodating. We had Pacific club benefits which were exceptional!! The Club Lounge was the best that we have had the pleasure to use. Room was large.....after being in Italy! Bathroom...great. TV...huge! Overall an exceptional experience....we would definitely return to this beautiful hotel in a beautiful city! Excellent staff and public areas. Room rate was good but this was maybe a reflection of the fact that the room and walkways to the room we’re tired and in need of updating. View from the balcony was very good but the balcony itself was lacking ambience. Beautiful hotel. Great facilities. Pool is not as deep as we had expected but it was nice to relax in water nonetheless. Hotel is very easy to spot when walking around so exploring the area is very convenient. Location is excellent, price is ok, staff check in must greet , specially knowing from the data entry that The Guest is Birthday as a sweet welcome for the guest, no need the guest told them that The Guest Birthday. They knew our passports as well lol. Some of The Edge restaurant staffs also must know how to serving People, but I must said Thank you to Mr. Gana and Ms. Jenny for covered some staffs negligents for my Husband Birthday by gave him and sent a bday cake to our the room by themselves . Hotel is ok, but The Services must as 5 stars as well. Thank you Pan Pacific Hotel Marina. Sure will introduced to others. Hopefully next time, we don’t hv to write abt the services anymore. 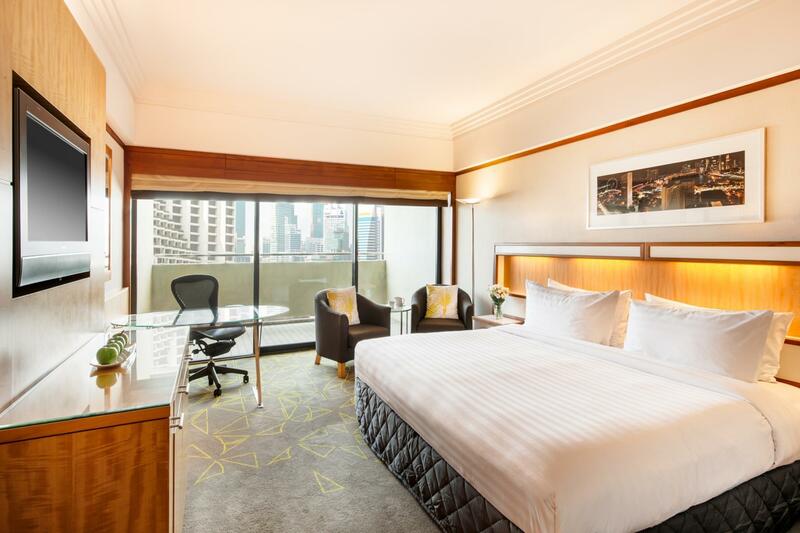 Fantastic hotel with super views of Marina Bay.... GO FOR IT! Everything was perfect! 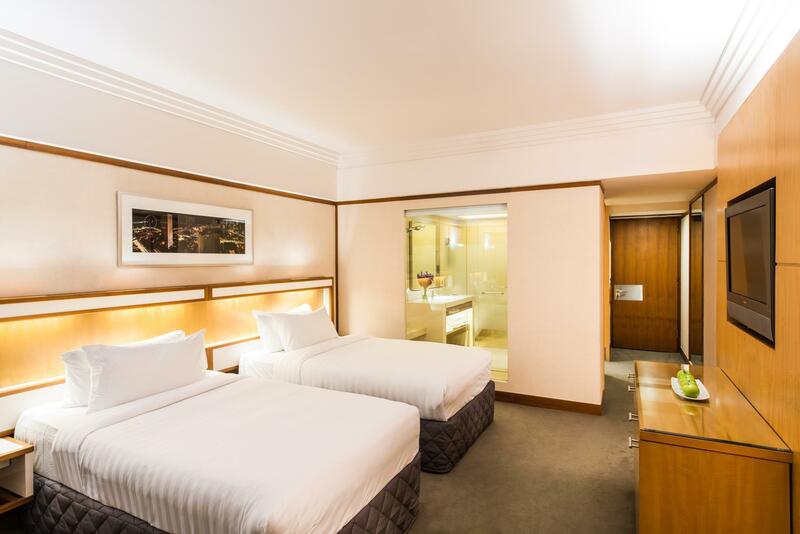 We upgraded our room to high floor with renovated rooms and bath tub for just S$40 plus! Worth it for this price! Will stay again!